A section within the ruling Nepal Communist Party (NCP) got chagrined by medical doctors protesting against the new regulations concerning their terms of employment, transfer and other issues they consider vital to their craft and career. The new arrangement seeks to synchronise with the federal structure of the state system. Complaint against the medicos is that theirs being a highly significant and sensitive service, they should not resort to methods like mass leave and other protest activities that cause inconvenience to patients and their families. What the KP Oli-led government fails to note is that the protests and opposition his two-thirds majority government faces are nothing new. When in the opposition, Oli’s party, then known as CPN (UML), frequently disrupted parliament and took to the streets. It sister organisations also faithfully followed the spirit, burning effigies of Nepali Congress leaders and shouting slogans that denigrated the subjects of their anger. In opposition since 13 months now, the Nepali Congress seems bent on applying some of the very medicine Oli and his party had treated the “democrats” with during much of the post-1990 years. Moreover, medical doctors’ strikes and boycotts have set a precedent imposed on hapless people. During the 1990 movement for restoration of multiparty polity, Dr Mathura Shrestha was at the head of his peers’ active support to the political movement. He was rewarded with a ministerial post in the subsequently appointed Interim Government prime ministered by Krishna Prasad Bhattarai. 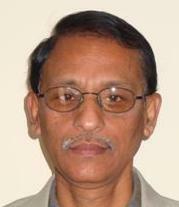 In the 2006 movement, Dr Arun Sayami and Co. emulated the 1990 precedent set by his seniors. He, too, was rewarded in the medical sector, though not as a minister. Dr Govind KC’s series of hunger strikes in the loktantrik years has affected governments headed by Maoists, Nepali Congress, UML and the Nepal Communist Party (NCP) that combines Maoist Centre and UML. In other words, both the Congress and the communists have demonstrated blatant hypocrisy at the expense of the ailing, the wounded and their families. Criticising the protest tactics when in power, only to lift the same methods when in the opposition is the overbearing and devil-may-care attitude of the mainstream parties that have deluded the Nepalese without interruption for to long to bear any more. Melamchi water minister Bina Magar last week had Gajendra Thakur, the secretary at her ministry, after accusing him of incompetence. Not the one to take such mistreatment lying down, Secretary Gajendra Thakur, who has been shifted basically to the reserve pool, went on TV defending his action of not signing the document the ruling party’s twin president Pushpa Kamal Dahal’s daughter-in-law wanted him to push forth for releasing money that would have “unduly” cost the nation billions of rupees. The Melamchi water supply dream has eluded the people of Kathmandu for nearly 28 years whereby the government has changed 18 times, and 24 ministers and 28 secretaries have occupied their respective hot seats. Magar became the 25th minister to handle the ministry with the hope that she could claim to have “completed” the project. The supply deadline has been shifting too frequently for any recall but too atrociously to earn any credibility of governments that vowed to make Nepal a Singapore, a Switzerland or “prosperous and happy” Nepal and Nepalese! Nepali Congress President Sher Bahadur Deuba is an angry man, criticised as he is from all directions in his organisation. The year just gone was traumatic for the four-time premier who claims to have been assured by his astrologer of becoming prime minister seven times. He has unwillingly earned the tag of having his party suffer drubbings in local, provincial and general elections. In recent months, luncheon meetings at the residences of the troika of Sujata Koirala, Shashank Koirala and Shekhar Koirala are reported to have taken place to brew strategies for retaining party leadership by one of their own family members. It is high time National Sports Council Member-Secretary Keshav Kumar Bista gets the marching order for the mismanagement of a sector that is considered to highly important for especially the sporting youth in addition to sports enthusiasts cutting across all classes, sections and ages among Nepalese. Whereas the 13th South Asian Games is being deferred time and again, Bista wants 1.4 billion for 13th South Asian Games, this time due in September. In 1984, the first Games [then known as South Asian Federation] made its debut in the Nepalese capital after Bangladesh, Bhutan and India expressed inability to organise it and all member states proposed Nepal to play the host. Next was in 1999. Playing a smartly, the controversial president of Nepal Olympic Committee, Jeevan Ram Shrestha, who is also Chairperson of South Asian Olympic Council, wants the government to fix the next date. Why can’t the ruling party’s MP mobilise the NOC to make a draft proposal for yet another schedule? If there was an answer of merit, the state of affairs would not have been as it has been since three decades. Previous Nepal in American priority?